With its two editions of 2018 and 2020, the IABR wants to contribute to the realization of the Sustainable Development Goals of the United Nations and of the objectives stated in the Paris Climate Agreement by further exploring how to make resilient cities. 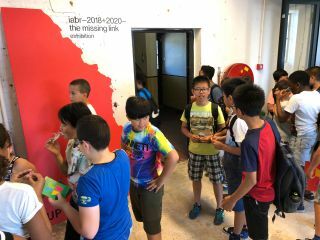 Arguing that spatial design is crucial leverage, the IABR–2018+2020–THE MISSING LINK focuses on the question of how we can effectively realize the urgent acceleration and scaling of the transition to a resilient future. Initially, in 2017 and 2018, we concentrated on the Delta of the Low Lands, among many other things by establishing and implementing collaborative research projects with partners, provinces and municipalities in the Netherlands and in Belgium. 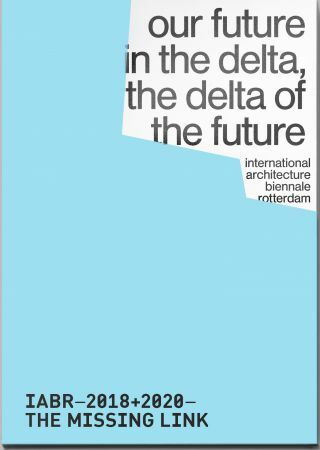 What and how can design contribute to our future in the delta and to the delta of the future? In 2019 and 2020 the IABR highlights two very urgent challenges, water and energy, that is, the water challenge and the energy transition as leverage for transformative comprehensive city making. Water as leverage: make use of the water challenge -too much water, too little water, too dirty water– to explore solutions that have a wide impact in terms of the quality of living conditions pf many millions of people. Energy transition as leverage: make use of the inevitable energy transition and conceive of it as a tool for inclusive cities. And while doing this, we will not just focus on our own Delta anymore, but reconnect the IABR to the world. In other words, from 2017 until 2020 we will address the missing link: we know what we have to do, so what is keeping us from making a successful transition to a resilient future? How to connect the plans to the projects, and the projects to the plans? What's stopping us? The IABR won’t be stopped though. 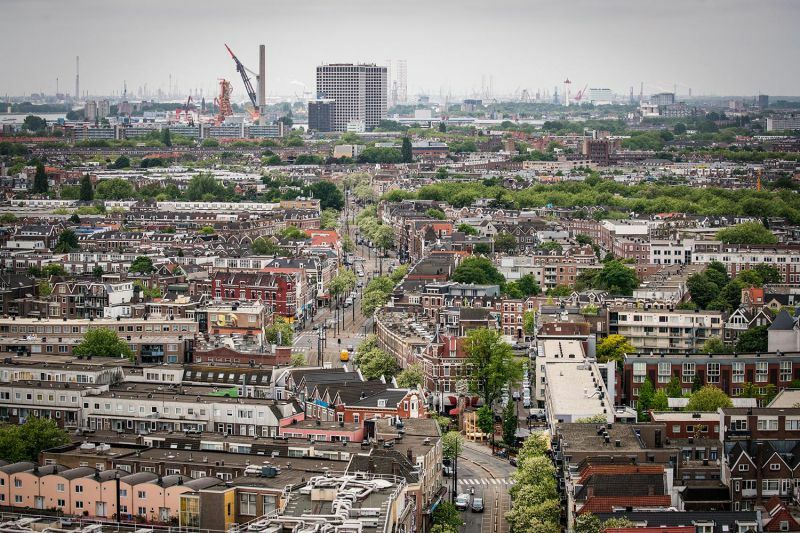 In the IABR–Atelier Rotterdam, for example, the City of Rotterdam and the IABR together with the Delfshaven Coöperatie and housing corporation Havensteder are working in Bospolder-Tussendijken to create one of the first energy neighborhoods in the Netherlands. 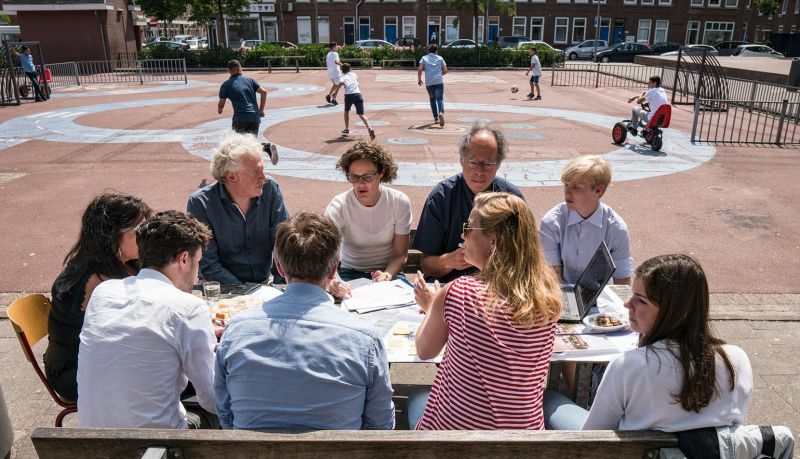 Also, the IABR together with the City and Port Authority are exploring ways to turn former city harbor M4H and the surrounding neighborhoods into a testing ground and showcase for a technologically and socially successful energy transition in Rotterdam. The IABR and the Province of East Flanders explore in the IABR–Atelier East Flanders Core Region how rapid demographic growth can be turned into an opportunity for resilient city making. And then there's Water as Leverage for Resilient Cities: Asia, initiated by the Dutch Water Envoy, IABR, AWB and the Asian Infrastructure Investment Bank. On 1 June 2018, the International Architecture Biennale Rotterdam launched its eighth edition, part one of IABR–2018+2020–THE MISSING LINK, in one go in two cities: Rotterdam and Brussels. In Rotterdam, the main exhibition was on show in the HAKA Building, a national industrial monument in the Merwe-Vierhavens area (M4H), until 8 July 2018, with an extensive program of activities. 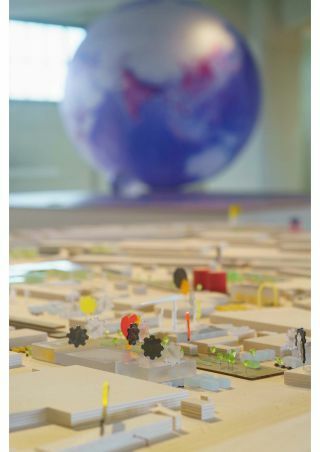 During that same period as well as in the fall, the World Trade Center in the Noordwijk area in Brussels, Belgium, is the location for the second exhibition and another extensive program: You Are Here. The energy transition is one of the key challenges of the coming decades. One important issue is how the transitions will actually take shape. How the advantages and disadvantages will be distributed is not yet clear. The energy transition will involve more than infrastructure and the most important question may well be: What kind of new urbanity will the energy transition allow us to create? 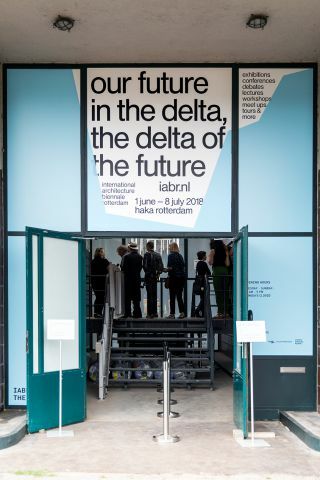 The IABR–Atelier Rotterdam will turn the opportunity created by the energy transition the city and port face into a driver for inclusive urban development and an engine for other important challenges regarding food, the productive city, living, social equality, and others. This means the Atelier considers energy transition not only a goal, but also a means to work on an attractive future and a resilient and inclusive Rotterdam. The energy transition is a technical challenge, of course, but at the same time it is also a spatial challenge that we have to integrate into a social agenda. After all, the reduction in the consumption of energy and the transition to renewable energy impact every aspect of daily life. From the way people travel to more energy-efficient dwellings and energy-producing neighborhoods. But is there a level playing field for everyone involved, can everyone keep up with the changes or even benefit by them? Energy poverty as a consequence of the energy transition is already imminent, especially in the more vulnerable neighborhoods. Given the right approach, conversely, the energy transition can contribute to a high-quality, attractive future if it is used as a means to work on a resilient and inclusive Rotterdam in which citizens are enabled to be not only energy consumers, but also energy producers. The question the IABR–Atelier Rotterdam raises is about what this new urban quality is that the energy transition will allow us to achieve. What ecological and social added value for the city, its neighborhoods, and every individual citizen will the energy transition be able to generate? Against the background of the challenge of the energy transition the IABR–Atelier Rotterdam tests new methods for inclusive urban development and generates concrete spatial proposals with the intention of eventually realizing them. In the period between 2017 and 2020, research by design is used for different lines of action and at various scale levels. At the building level, the Atelier has focused on the development of new building typologies for the energy transition, the results of which were presented at IABR–2018. At the district level the Energy District concept is tested. While Test Site M4H+ highlights integral area development. The platform of IABR–2018 has mainly been used to present and exchange expertise and knowledge and to actively involve partners and actors (from the city and region as well as beyond) in shared knowledge development. 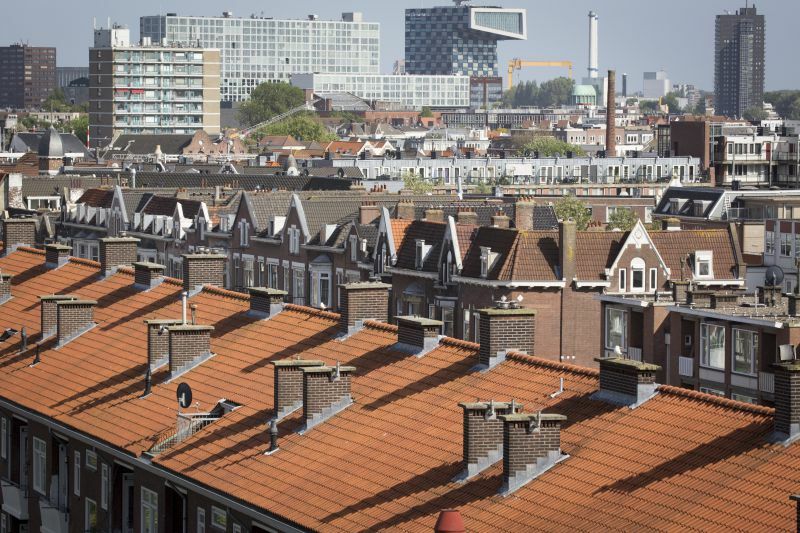 We are now working on further developing the "energy district"–concept, specifically in Bospolder-Tussendijken. The results will be presented at the IABR–2020, after which they will have to be implemented. The IABR Atelier Rotterdam: Energy Transition is a collaboration between the IABR, the City of Rotterdam (Urban Planning Department and Resilient Rotterdam) and, at Test Site M4H+, also the Port of Rotterdam Authority. Spearheaded by the Dutch Special Envoy for Water Affairs Henk Ovink, the Asian Infrastructure Investment Bank, the Global Center on Adaptation, 100 Resilient Cities, Architecture Workroom Brussels and the International Architecture Biennale Rotterdam launched the collaborative project WATER AS LEVERAGE FOR RESILIENT CITIES: ASIA at the UN Climate Conference COP23 in Bonn, Germany, on November 9, 2017. We have no time to waste if we want to safeguard our planet and our future, and achieve our climate goals, our sustainable development goals, and reach beyond. To realize the necessary changes we need to build strong and result-oriented coalitions with the ambition to proactively connect innovative and integrated design, good planning, and a strong process to financial commitment and implementation. Taking up the challenge, the International Architecture Biennale Rotterdam, the Dutch Water Envoy and Architecture Workroom Brussels have initiated Water as Leverage. In partnership with the Asian Infrastructure Investment Bank (AIIB), 100 Resilient Cities (100RC), UN-Habitat and Partners for Resilience, and supported by the UN/World Bank High Level Panel for Water and the Global Center on Adaptation (GCA), we have launched our first project, Water as Leverage for Resilient Cities: Asia (WaL/Asia), on November 9, 2017 at COP23 in Bonn, Germany. Nowhere on earth are water-related disasters as widespread and costly, both in terms of human life and loss of (social) wealth, as in South and South East Asia. 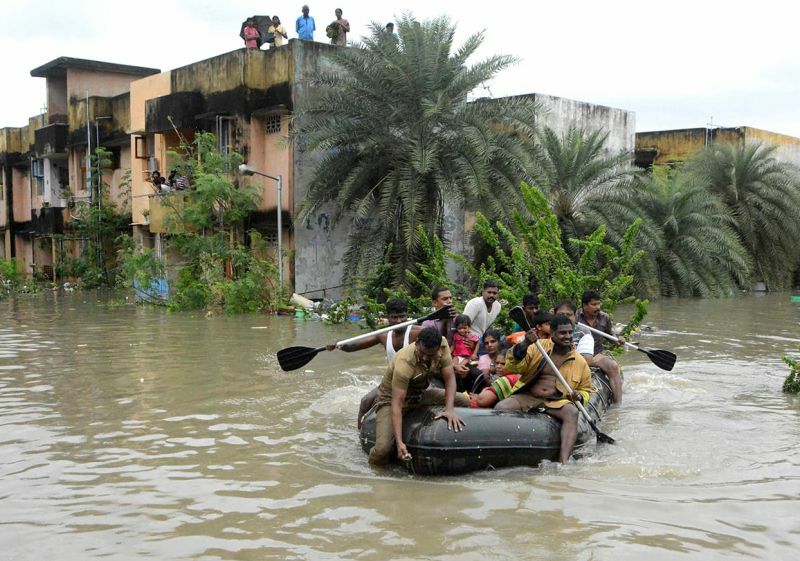 Asian cities account for 83 percent of the population affected by sea level rise. That is why, together with the AIIB and 100RC Asia, we decided to test how water can be used as a lever for change in Asia first. 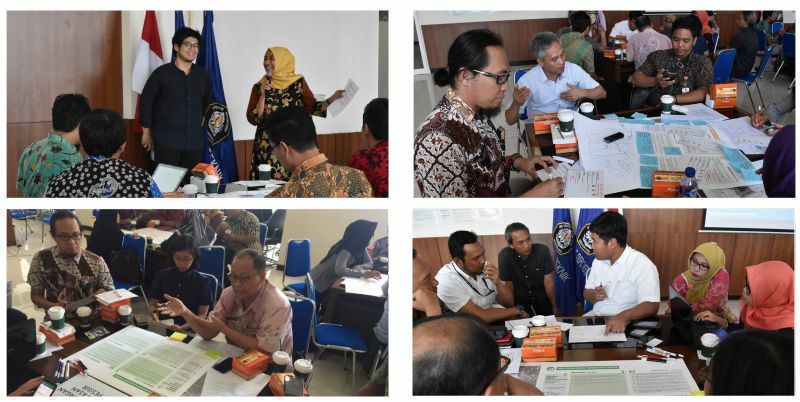 After a short and intense period of thorough research, fieldwork, and workshops, the Water as Leverage for Resilient Cities: Asia–consortium partnered with the cities of Khulna (Bangladesh), Chennai (India) and Semarang (Indonesia). These partnerships are carefully chosen, based on the explicit articulation of water-, urban-, and climate-related challenges that these city regions have, the strategic position as a pilot for similar cases they could be and, as such, the potential in terms of sustainable solutions and transformative capacity. 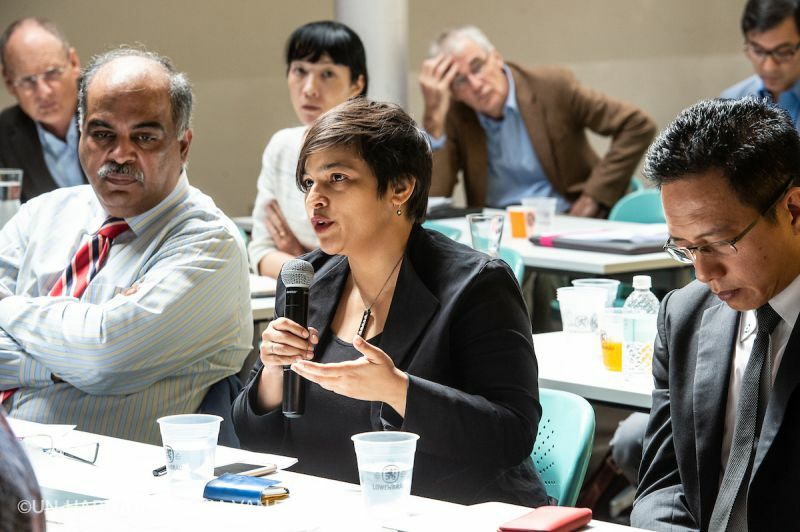 In 2017 a worldwide Call for Action waas launched after which, in June 2018, the Advisory Board of WaL/Asia selected six design teams, two for each city. These three city regions are only a starting point: building on the outcomes a working methodology will be derived and continuously adjusted, as a foundation for following partnerships. The challenge of Water as Leverage is to match long term comprehensive urban planning with short term innovative transformations ; ambitious climate adaptation plans with bankable projects; developing ever more knowledge of the water system with building more resilient cities; research, design and implementation with inclusive urban alliances. Result driven collaboration is essential, across all sectors, all layers of government, all stakeholders—from activists and vulnerable communities to private and public institutions. The Dutch government, the City of Rotterdam and the Creative Industries Fund NL are IABR's main partners. The IABR is a lead partner of the Dutch government in implementing the Action Agenda for Spatial Design (ARO) 2017 - 2020 of the Ministry of the Interior and Kingdom Relations. The IABR is funded in the Culture Plan 2017 - 2020 Budget of the City of Rotterdam and subsidized as part of the Grant Scheme for Multi-Year Architecture, Design and E-Culture Programs of the Creative Industries Fund NL (SCI). As part of its multiyear policy plan 2017-2020, Towards a Resilient City, the IABR has entered into two action-oriented collaboration agreements. One is with the Special Envoy for International Water Affairs of the Kingdom of The Netherlands (Ministry of Infrastructure and Water Management). The aim is to globally explore potentially viable projects for which "water" can be the key to finding integrated and innovative solutions to existing challenges. One focus is on South East Asia where water related problems are most urgent. In partnership with the Asian Infrastructure Investment Bank, the Global Center of Excellence on Climate Adaptation and 100 Resilient Cities, IABR, the Special Envoy and AWB have initiated the project Water as Leverage for Resilient Cities: Asia. The Special Envoy and the IABR, together with Deltares and the Netherlands Environmental Assessment Agency, have also initiated the World Water Atlas. The second agreement is with Resilient Rotterdam (Department of Urban Development, City of Rotterdam), resulting in the IABR–Atelier Rotterdam 2017 - 2020, in which a second active partner is the Port Authority of Rotterdam.